The term "interface" is rather common, but many people don't know exactly what one is. A recent paper by Frank Sherwin of the Institute for Creation Research (ICR) and myself detailed the elements of a physiological interface and their vital importance.2 We showed how our immune system actually functions as an interface between our human body and the microbial world. We confirmed a fundamental principle of design in general: For two autonomous, automated entities with distinct boundaries to work together, they must be connected by an interface with three distinctive elements: 1) physical authentication mechanisms, 2) non-physical standardized protocols, and 3) a mutually accessible physical medium to both entities. Protocols are rules that govern the exchange of information or resources. The common medium has characteristics accessible to both parties of an exchange so they can relate to each other—like a translator fluent in both English and Russian. These linking interface functions are illustrated in the way this woman's interface was implanted and operates. Through two small holes made in her skull (ouch! ), two tiny electrodes were placed on the surface of her brain corresponding to the motor area for her right hand. The electrodes detect brain activity when the woman simply imagines moving her right hand. The holes were closed, but small wires from the electrodes were kept under the skin and run to a transmitter implanted near her collarbone. An antenna outside her body picked up the transmitted signal and sent it to a computer and monitor as shown in Figure 1. During testing, specialists fine-tuned computer algorithms over several weeks to correlate her hand-motion thoughts—that showed up as specific brain-wave patterns—into specific computer activities like moving a computer mouse and selecting letters on a letter board as if they were done by hand. Remarkably, after 44 training runs for spelling, the woman could type at about two words per minute with greater than 90% accuracy. This helps us see the critical role of well-designed interfaces: the one engineers designed, and the myriad of interfaces already in the woman's body that greatly exceed any human-made interfaces in sophistication. Interfaces are vital to linking two independent entities, whether creature-to-creature or even between a creature's different parts. In a healthy person, the nerves of the peripheral nervous system connect muscles and organs to the brain and form an interface between body parts and the central nervous system. In the case of this ailing woman, the electrodes on her brain and the wires to the computer were the common medium. The computer algorithms, which correlated her thoughts to computer activity, are the protocols. 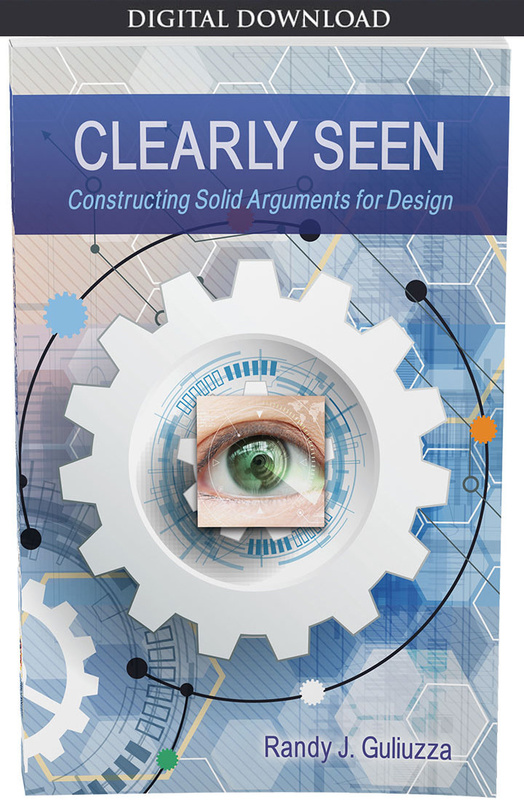 What this case also helps us see more clearly are the distinctive functions for mind and brain. Specific brain activity in the hand-motor area was initiated when she merely "imagined" hand movements in her "mind." No scientist has come close to identifying exactly where the mind resides in the brain, if it actually resides in the brain, how imagination or communication are initiated, or even if the mind is material—since no human senses or any man-made device can detect a person's "mind." 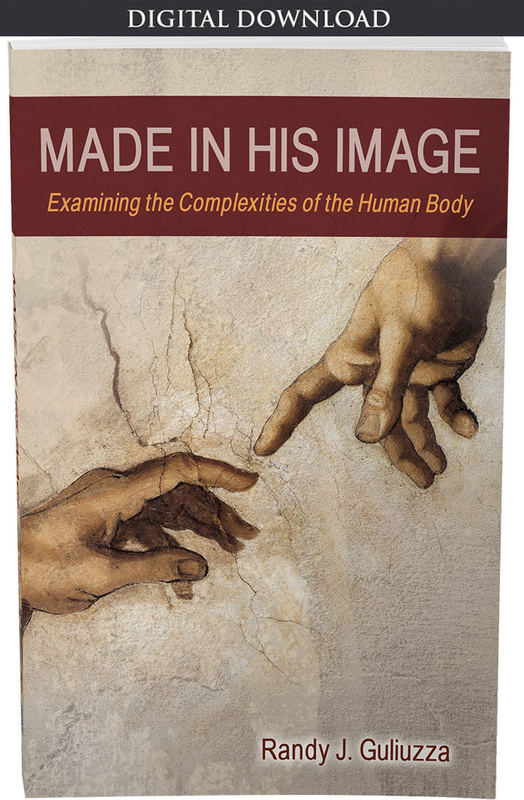 Naturalistic evolutionists declare that the mind is a product of the brain because they believe that everything, even information and the human mind, must be reduced to matter. But this case indicates that the brain responds to the mind as a separate entity. Could it be that we see at least two interfaces at work in this woman? Is it possible that her brain is the initial interface between her immaterial thoughts and the physical realm, and her new man-made brain-computer interface links her brain to us? Tellingly, this locked-in woman can still pray without thinking of moving a muscle, because her immaterial thoughts are already in the realm of an immaterial (i.e., spiritual) God who is capable of detecting—and knowing—her mind (Psalm 139:2, 23; Jeremiah 17:10). Could it also be that one purpose of body organs is to keep the brain, our interface to our mind/soul, functioning? Perhaps when the body fails and can no longer fuel the brain, or the brain itself fails completely, a vital element lost at death is the interface which was enabling the physical expression of our—still existing—mind/soul. This mind/soul would be "absent" from the body but "present with the Lord" fully in the immaterial realm (2 Corinthians 5:8). User interfaces are designed crossing points that, in the case of the mind-brain interface, potentially frees the individual from the locked-in syndrome. It is eminently reasonable to view interfaces in this context as a clear example of design between the triumvirate of a brain, mind and computer. These three entities require well-thought-out designed interfaces pointing to plan, purpose, and special creation. Since many people locked in their body become so depressed that they deeply long to be separated from their body, we can be thankful that bioengineers designed this amazing interface that may help people in the near future. It seems it might allow a measure of autonomous communication for some people with locked-in syndrome. This procedure also shows that, apparently, the human mind is separate from the brain. Vansteensel, M. J. et al. 2016. 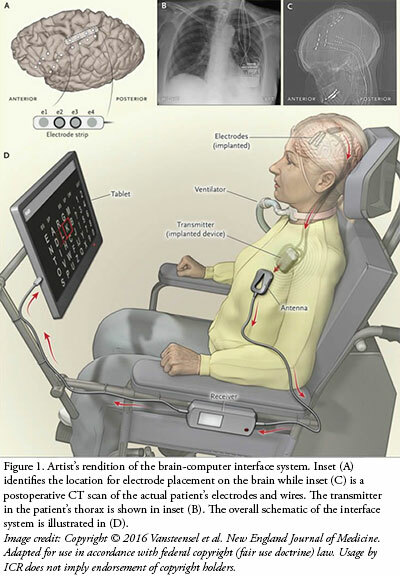 Fully Implanted Brain–Computer Interface in a Locked-In Patient with ALS. New England Journal of Medicine. 375: 2060-2066. Fields, R. D. Wireless Brain Implant Allows "Locked-In" Woman to Communicate. Scientific America. Posted on scientificamerican.com November 17, 2016, accessed November 28, 2016. 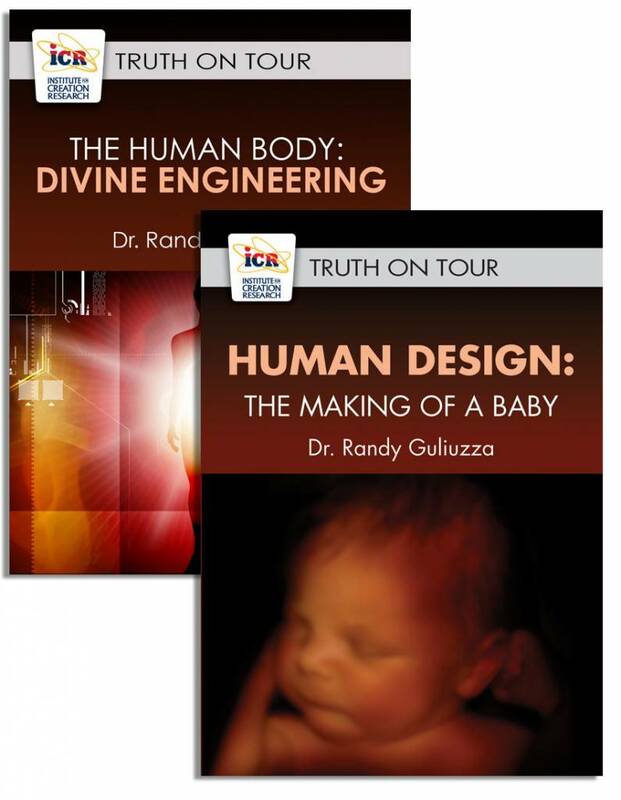 *Dr. Guliuzza is ICR's National Representative. Article posted on January 5, 2017.